In this issue of WHOTT Web News we take a brief look at the fish merchants - Suttons, the retiming of Royal Blue routes and the regular Pangs of Nostalgia. Delivering the Catch - In this newsletter we look at the Wholesale fish merchants Suttons (Cornwall) Ltd. Suttons used various vehicles including AEC, Bedford, Karrier, Foden and Albion lorries. In the 1960 a bold decision was made to revolutionise the method of transporting fish to Billingsgate and other more distant markets. The newly developed idea of a refrigerated container affixed to the flat platform four-axle lorry was chosen. For this eight AEC 'Mammoth Major' Mark V were purchased. Suttons were proud to boast of both Suttons and AEC that their vehicles ensured delivery of the fish within 24 hours of arrival at Newlyn Harbour. Want to read the full story, then become a member and receive our quarterly newsletters. For local deliveries in West Cornwall in latter years, Suttons used Karrier 'Bantam' lorries, also maintained in immaculate condition. 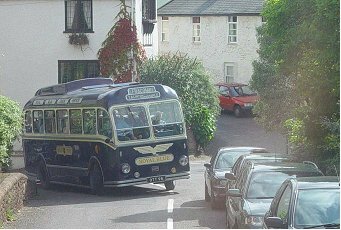 The Retiming of Royal Blue Routes in 1962 - After much lobbying by Goods and Passenger vehicle operators, in 1962 the government of the day increased the maximum speed for goods and passenger vehicles from 30mph to 40mph. The increase had significant impact on the timetables operated by companies running express and limited stop services. Colin Morris (Friend 61) took part in the retiming of many routes and travelled some 8,000 miles in four months on the Royal Blue network between London and Penzance and Southampton to Liverpool. Colin explains the method used to retime the routes. The full story and revised timetable can be found in the current copy of WHOTT News. LS 1299 (OTT 98) negotiates a tight turn in Milverton on the WHOTT Royal Blue Run 14th September 2002. Pangs of Nostalgia as Bert Looks Back - In newsletter 11, Bert looks at Western National's unusual replacement for the light weight SU and medium weight MW, as these vehicles were being replaced by the Bristol RE. 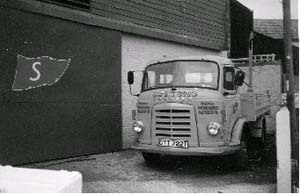 Western National consider both Ford and Bedford vehicles as a replacement, selecting the Bedford VAM with a ECW body. The body was based on a modified MW bus body. 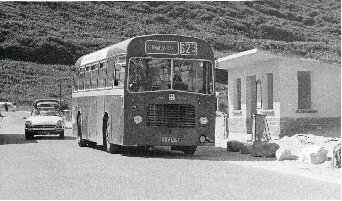 Thirteen of these vehicles were purchased and once fitted with their ECW bodies went into service in 1967. They were allocated to Dartmouth, Plymouth, Newquay and Truro. Bert follows the vehicles through until they were withdrawn in the mid 1980. WNOC 709 (KDV 139F) on route 623 to St. Mawgan. A rare view of a vehicle actually on Route 47. Devon General AEC SR955 (955 HTT) at Exeter Bus Station in August 1966.